Ameno World 'Saud Abdulaziz al-Saud' Identiti Penderma 2.6b Dedah Sarawak Report 'Saud Abdulaziz al-Saud' Identiti Penderma 2.6b Dedah Sarawak Report. 'Saud Abdulaziz al-Saud' Identiti Penderma 2.6b Dedah Sarawak Report. Pendedahan ini separuh masak tetapi korang boleh baca juga sebagai info tambahan dan memandangkan SR telah diblock di Malaysia maka salinan bawah neh ialah sebagai sumber pembacaan korang. Separa masak sebab SR pun semacam keliru nak mengesahkan samada identiti penderma itu benar2 diyakini fake ataupun tidak. Secara kesimpulannya apa yang SR cuba huraikan ialah kemungkinan besar penyumbang dana 2.6b kepada Najib ialah individu yang berselindung disebalik nama pihak tertentu bagi mengaburi pihak tertentu. Dalam erti kata lain menggunakan identiti fake la. Namun perkara berkenaan masih lagi dalam siasatan dan pemerhatian. Mereka sendiri pun ragu2 apatah lagi bila diselidiki identiti individu tersebut, kewujudannya masih samar-samar. Dan nama yang digunakan berkait pula dengan keluarga diraja Arab Saudi. Which is aku rasa semakin lama semakin fishy pula pendedahan ini. Apa kah konspirasi di sebalik semua ini? Sama-sama nantikan. 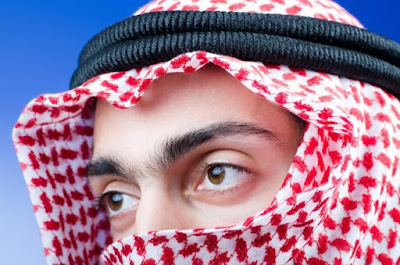 Apakah benar Arab Saudi yang menderma (jika benar apa tujuannya) ataupun nama seakan2 keluarga diraja Arab Saudi digunakan bagi tujuan mencipta persepsi dan konspirasi? Jika benar apa pula tujuannya? Nak menderma pun guna identiti fake. 2.6b bukan 2 ringgit 60 sen. Agak2 la kau pun. The matter raises immediate questions about the regulatory and compliance procedures of AmBank, which is 23% owned by ANZ Bank (Australia New Zealand Bank) as the largest shareholder. The CEO of AmBank, Ashok Ramamurthy, who was on attachment from ANZ Bank, stepped down in January following a compliance audit of several billion ringgit of loans to 1MDB — the issue remains subject to major criticism by opposition politicians. The fact that the Prime Minister was able to receive huge private donations with such a cursory scrutiny of the donor certainly presents a major problem for the bank. For several years, AmBank has flourished as the bank of choice for the Prime Minister’s own accounts and also for several state-controlled concerns, including 1MDB. We have learnt that at least four payments were received into the Prime Minister’s account accompanied by the same sender identification between 2011 and 2013, including the two totalling US$681 million, revealed by Sarawak Report in July. The second transfer was for a sum of US$200 million, meaning that a total of a billion dollars was transferred by this alleged Saudi royal philanthropist supposedly in favour of UMNO into Najib’s account. This information was corroborated by the Malaysian Anti Corruption Commission (MACC) in July, when officials stated they had seen four letters from the same donor to the bank. It indicates that this alleged donor had been passing huge sums of money to Najib far in advance of the General Election, the original reason given, for wider purposes that remain unclear. The matter envelopes a growing circle of international regulatory authorities in Malaysia’s escalating financial scandal, since both Australia and New Zealand as well as Saudi Arabia are now faced with a flouting of their basic banking rules and anti-terrorism laws. “Those were the answers given to me when I asked them the reason for their donation. They also told me that Malaysia was not the only country they have donated money to. “They have also helped other Islamic countries,” he said .. 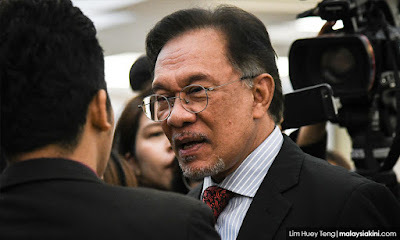 The Umno vice-president, elaborating.. said the donors were an “Arab king and prince” and the family decided to make the huge donation also because of Datuk Seri Najib’s anti-Jewish stance.. In a statement, the commission said it had found out about the donors’ details through bank documents. “MACC has obtained explanation from the donors who originated from the Middle East and they have verified the donation. “The RM2.6 billion donation has no connection at all to 1MDB,” the anti-graft commission said in the statement. The MACC statement clearly conflicts with the bank documents obtained by Sarawak Report, which refer to the transfer of US$681 million from Tanore Finance Corporation as a “payment” rather than a donation. So their eventual findings should present the exact identity of the so-called King and Prince, who they have so far accepted as genuine donors. This story of the Saudi donor becomes even harder to believe after a basic wealth check of Middle Eastern royals and the Saudis in particular. There are few ruling Kings and Princes in the Middle East — and the Saudi King Abdullah, who was alive at the time of the ‘donations’ had died in January before the time the so-called meetings took place in July with the likes of Zahid Hamidi. But even King Abdullah, who ranked at number 4 in the wealthy sovereign list, was worth only US$18 billion. That makes a handout to Najib of US$1billion to be a very substantial chunk of his personal wealth. Even more so, given Zahid Hamidi’s surprising claim that other Muslim countries were similar ‘charitable’ recipients! It means that if the alleged donor family were lesser royals the likelihood of them being in a position to fork out such enormous secret sums of money becomes ever more remote. We have found no one of the Arab top 50 rich list with a name remotely similar to the supposed signatory of the donation letter ie Saud Abdulaziz Majid al-Saud and the individual at number 50, Saudi Arabia’s Ayman Hariri, has a relatively modest fortune of just US$2 billion, according to Arabian Business.com. Would a man with US$2 billion or less really be willing to part with half of it to Najib Razak because of his stance on this or that, let alone to pay for other similar begging leaders also? Or is this supposed donor from a royal family a secret entity of some kind? Certainly, the top richest Saudi, Prince Alwaleed has made clear that at some point he intends to give all his money to good causes and he has been held up as an example of the sort of Middle Eastern who was favouring Najib by BN stallwarts. However, even he himself is worth only US$34 billion according to Forbes. So, to whom would BN/Najib Razak rate as a billion dollar cause? Enquiries at the Saudi Embassy in London have produced further questions. Their protocol department has pointed out that while the name presented to AmBank is similar to certain Saudi royal names, it lacks certain crucial formalities — the name should contain ‘bin’ we were told, along the lines of ‘bin Abdulaziz’ and ‘bin Majid’, giving the impression of a serious lack of authenticity in the name of our sheikh and the title of his Private Office. It has been pointed out that the royal figure whose name most matches that of Saud Adulaziz Majid al-Saud is that of a former Governor of Medina, Abdulaziz bin Majid, a grandson of a former Saudi King. This royal figure does have a son similarly named Prince Saud bin Abdu Aziz bin Majed Al-Saud. However, there has been no evidence that these are a family of prominent donors nor do they appear on the Arab rich list as owning over US$2 billion. So, please step forward the mysterious and alleged billion dollar donor, unless of course one accepts the inevitable conclusion that we are dealing with a fake sheikh with sparse identification, drummed up to explain a series of astonishing payments into the Prime Minister of Malaysia’s private bank accounts?